Voice assistants used to integrate with smart home and IoT systems are becoming more common, and with a subsequent system upgrades, communication with them is developed with more skills, voice commands or features. The arms race in this area has been greatly accelerating lately and more manufacturers want their solutions to listen and follow user commands. The FIBARO system has been working with the most important voice assistants on the market for years – Amazon Alexa, Google Assistant and Apple Siri. The most important element necessary to ensure a proper voice communication with devices and services is advanced software. This field leaders are the world’s biggest technological giants – Amazon, Google, Apple, Samsung and Microsoft. Microsoft solutions work on the Windows platform. Samsung provides its voice assistant on its smartphones and Galaxy Home. Apple has launched a smart speaker called HomePod that supports Appe Siri. Undoubtedly, the market leaders are Amazon and Google. These companies provide solutions that are available on devices supplied by different manufacturers, such as TVs, speakers and cars. At the same time, both manufacturers also rely on the development of their own hardware platforms. In the case of Amazon it’s the Amazon Echo family, while Google has introduced a line of Google Home devices. These platforms are integration-ready and in this business it is crucial. 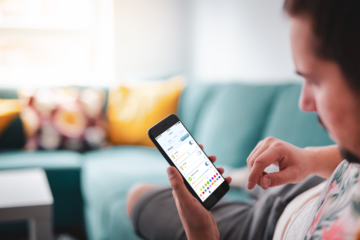 By being open to integration, these brands enabled combining FIBARO system in such a way that users of devices supporting Amazon Alexa, Google Assistant or Apple Siri (thanks to Siri Shortcuts) can control their FIBARO smart home with voice commands. 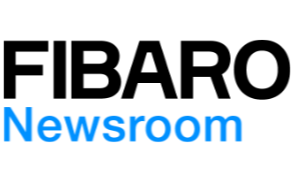 The examples mentioned earlier are currently the most widespread platforms, although other manufacturers also try to emphasize their presence, announcing their own solutions. More and more courageous and present become solutions by Xiaomi (at the moment it works only in Chinese) or Huawei. These examples have a special chance for development because of the dynamic growth of Asian market. It is clear that each of the manufacturers implements voice assistants in the first place to work with languages that most people speak. Amazon Alexa, Apple Siri and Google Assistant first appear and have the greatest opportunities in countries where English, Chinese and Spanish dominates. For countries where there are not yet official language support, you can use English with the given voice assistant. Both leading suppliers are increasingly expanding the list of countries and supported languages. FIBARO works closely with Amazon and Google to ensure that integration works in a particular language right after official support is announced. At the moment, the feature that Google calls “HomeControl” is not supported in Polish by Google itself. From the point of view of smart home FBIARO, the assistant in Polish has not yet appeared on Google Home devices and the device itself is not officially available in Poland. 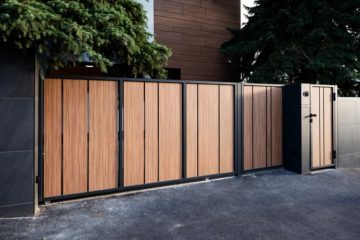 We stay in close contact with Google and keep an eye on new home control features announced and introduced to Polish market. Our mission is to make them available to our customers as soon as possible. Although voice assistants are used by manufacturers of various equipment – from cars, through TV and home appliances – it is worth noting that both giants distinguished the smart home segment in their solutions by simplifying user – home communication. This shows how smart home segment gains in importance on the global market, therefore, there are no doubts that its role will grow constantly. Several solutions to simplify the automation of understanding smart home commands have been prepared and their main role is to be open to external manufacturers. For Alexa, it will be Home Automation Skill whereas for Google, the Google Home Control. These solutions significantly improve communication with systems – commands got simpler and more concise. This contributes to building a sense of comfort and awareness of the wide range of possibilities that voice assistants bring to users homes. Smart home control commands can be said within one logical sentence without having to indicate the system that controls the device. 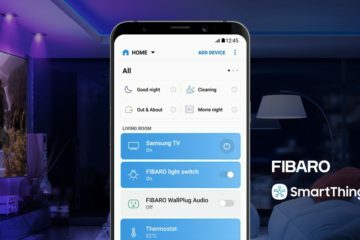 A simple example is turning the light on via FIBARO smart home. Just ask your assistant: Hey Google, turn on all lights. – it will work without the need of previous “Hey Google, talk to FIBARO” call path and waiting for confirmation. All you need now is the correct command “Turn on all lights”. FIBARO enabled voice control of its system even before the era of voice assistants. However, strong integration with Amazon Alexa and Google Assistant is a way to meet the expectations of users who want to have a single coherent communication system. Currently, both manufacturers provide mobile apps that allow managing smart home with voice control. They are limited with basic functionalities but they allow you to control multiple connected devices with just one app. Even though they are helpful, mobile apps can’t replace dedicated solutions such as the FIBARO smart home app. Such a consistent integration which can be described as a 360° integration, gives user the choice of control he expects. Obviously, there are many situations when we want to remain discreet and rather not use voice commands e.g. if we’re having guests or when we don’t have the possibility to use our voice. 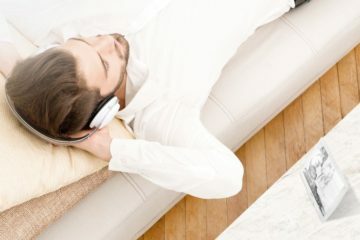 Everything depends on the situation – sometimes the best solution is to use voice control, another time it is best to use a gesture and sometimes apps or direct buttons such as The Button are the way to cope with things. Decision to choose the type of control is the result of momentary needs, skills, but above all emotions and the environment in which we are located. 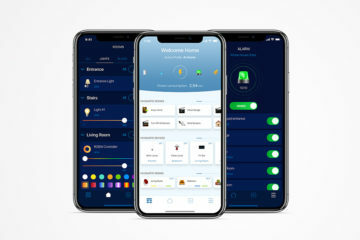 FIBARO smart home system provides all these types of controllers. An interesting trend in voice control is the increasingly frequent use of voice communication by the system itself, which in a short time will be able to interact with us on daily basis. Nearest future of smart home will discreetly inform us about important events such as alarms. How smart home let us know of certain event will of course depend on our needs. It is the man who will decide whether he wants to hear a voice or to see the command in a visual form. Although in the future there will be new interfaces using other forms of communication with human, speech will be a dominant form because it is a natural channel of communication used by human. Perhaps the future will bring us voice assistants that will recognize our emotions which will contribute to serve much better services. Assistants already are able to recognize the interlocutor by voice and answer their queries and commands. Thanks to speech and voice, the user will get the flexibility of communication and ease of access to his own home. We believe that only full integration with leading providers of voice assistants our system will be able to keep up with changes and natural processes that are taking place today in the field of voice interfaces for smart home systems. Our team and experts work on a daily basis with the most important global providers of voice assistants and ensure that FIBARO is always at the forefront when it comes to solutions that can improve the lives of our users. 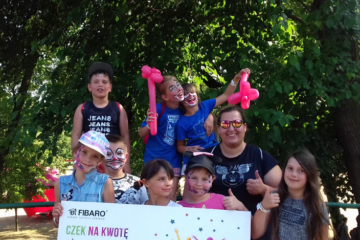 A member of the product team that manges, among other things, the FIBARO integration. Analyzes the market and selects those integrations that will provide FIBARO customers with the highest value. One of his greatest achievemnts is integrating Home Center with Amazon Alexa. Cooperates with global brands from the IoT market. Fascinated with the future of the world. He sometimes looks into the black mirror.